In late September our friends at Frozen Tropics reported that there had been a small fire at Souk on H Street (1208 H Street, NE). Recently it appeared that the restaurant had closed and might not be reopening. 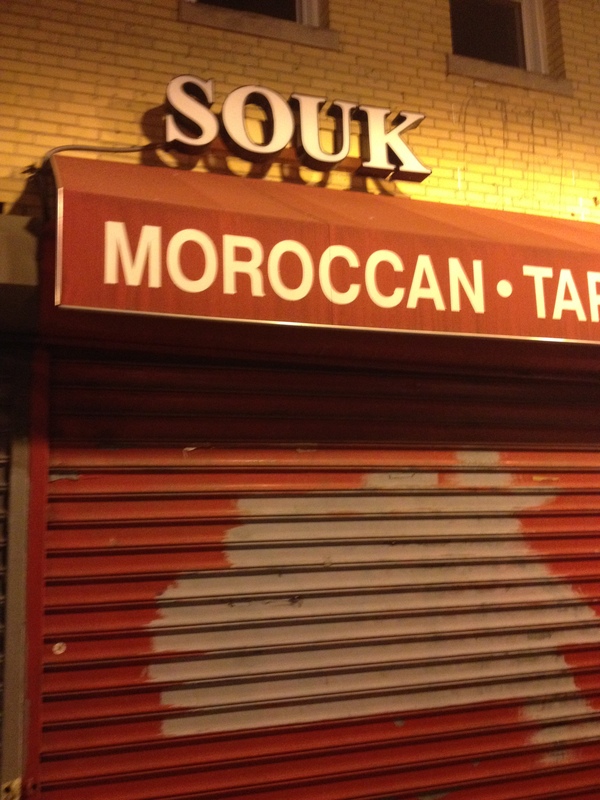 Souk has been closed during dinner recently, its website is down, and its phone has been disconnected. We stopped by the new Sahra Lounge down the block (same ownership) to learn more. Contrary to the signs that the restaurant is closed for good, we’re told that Souk is temporarily closed for renovations and will reopen in 2-3 months. The renovations are not related to the fire and are instead meant to make the restaurant nicer and more open inside. We really hope that those renovations will include removing the roll down shutters outside of the restaurant that make it look really uninviting when it is closed compared to the rest of the block. Despite having great potential, Zuppa Fresca in NoMa closed suddenly in June because of a dispute with the building owner. Zuppa Fresca was owned by new chef Alfio Celia and specialized in Italian food. While the restaurant struggled to attract consistent customers because of its awkward location, we greatly enjoyed Chef Alfio’s food. This morning the Zuppa Fresca Twitter account tweeted that Chef Alfio has become the Executive Chef at Trattoria Nicola’s (the tweet seems to have since been deleted). We’ve never been to Trattoria Nicola’s, but it is located in Dupont Circle and has a sister restaurant in Dallas, Texas. 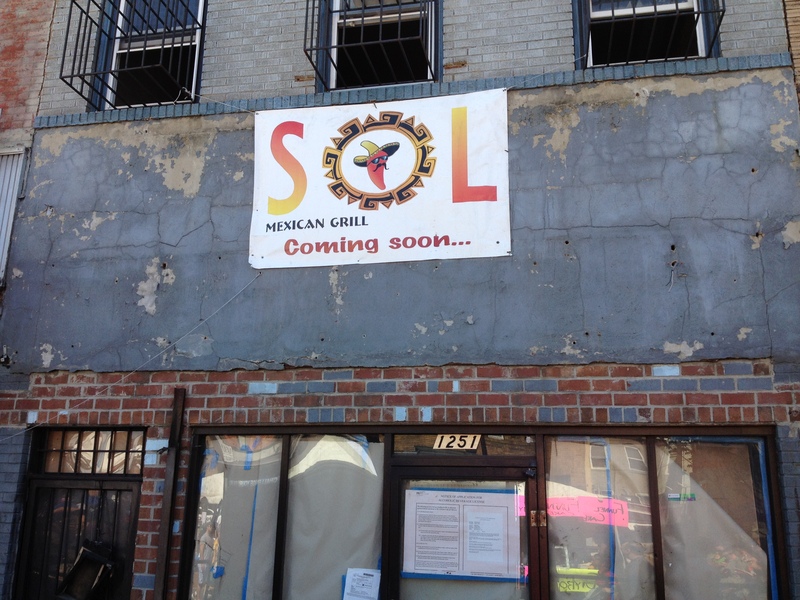 Sol Mexican Grill: Coming to H Street in December? We caught up with a representative of Sol Mexican Grill during H Street Festival a few weeks ago to learn more about their first stationary restaurant that is coming to H Street soon. Sol Mexican Grill currently has two food trucks that roll around downtown serving a variety of tacos, burritos, and bowls featuring chicken, steak, carnitas, brisket, and vegetables. Our favorite is the chicken bowl where they give you a generous serving of your choice of grilled chicken (tender and not overcooked), rice, beans, lettuce, corn, cheese, sour cream, guacamole (extra), jalapeños, onions, and three different types of salsa (the spicy one has a good kick).